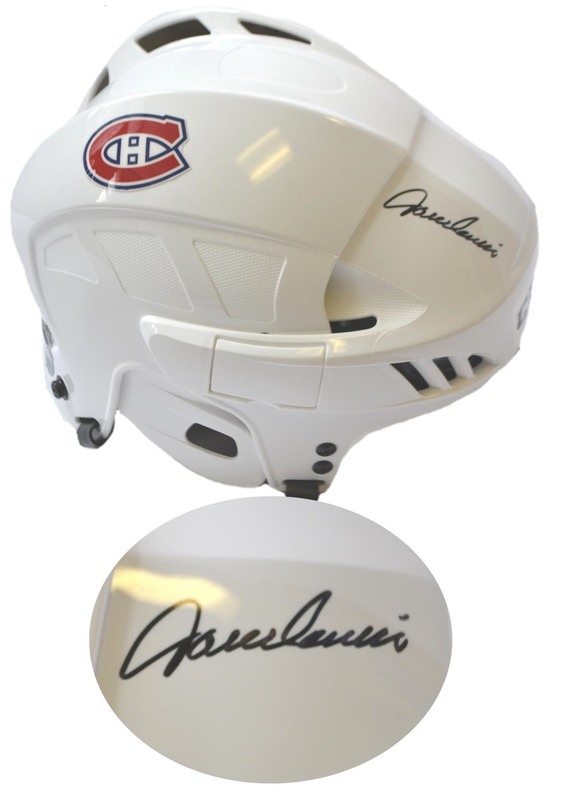 This helmet come personally autographed by Canadiens goal scorer, Jacque Lemaire. Lemaire has a total of 11 Stanley Cups, 10 as a player and 1 as a coach. Lemaire's 10 Stanley Cups were all won within his 12 year NHL career, which he scored a minimum of 20 goals each of those years. Lemaire totaled 366 goals and 835 points. Lemaireès career was highlighted with an induction into the Hockey Hall of Fame in 1984. Lemaire followed his playing career by coaching in the NHL for 17 years including a Stanley Cup win in 1994-95 with the New Jersey Devils. A Frameworth hologram and certificate of authenticity are included to ensure the legitimacy of the signature. Frameworth is an official licensee of the NHL & NHLPA.